The United Nations Development Programme (UNDP), in collaboration with All-China Youth Federation, kicked off the Asia-Pacific Forum on Youth Leadership, Innovation and Entrepreneurship on August 2 in Beijing. The Forum aims to foster youth-led entrepreneurship and accelerate the achievement of the Sustainable Development Goals (SDGs). The sixth Qooco Asia Spelling Cup in China was themed “strive to grow up, pursue your dreams,” and ended successfully in Beijing on July 22. Nearly 300 children from a pool of more than 50,000 gathered in Beijing to make their dreams come true. At the same time, the "Asian cup" mentor Alistair Bayley amazingly appeared, and the organizing committee presented him with the appointment letter of spokesperson and mentor. PepsiCo, Inc announced on June 14 a $2 million grant to China Women's Development Foundation (CWDF) to support its new initiative “Water Cellar for Mothers-Green Village” program. 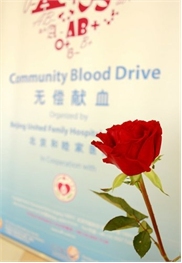 On Thursday, June 14, World Blood Donor Day, Beijing United Family Hospital will host a community blood drive from 10 am to 3 pm on the third floor of Building 2, located on Jiangtai Road. China's economy has reached a new stage of development where the need for high-level talent in different industries is very strong. To support China's increasing need for talent, leading human resource provider FESCO Adecco launched the FESCO Adecco Xi'an Talent Hub in Xi'an, Shaanxi Province on May 11. Chapter restaurant is a “gourmet library” where creative flavors are presented in a unique setting, similar to grand European libraries. The Chocolate Boutique at the entrance to Chapter restaurant welcomes guests with a stunning handmade chocolate installation art and sweet treats to take away. Chinese traditional artworks and modern art pieces filled with oriental sentiment are skillfully interspersed around the European interior of The Ritz-Carlton, Guangzhou, creating a vibrant atmosphere that coincides with international jewelry brand Qeelin's “East meets West” philosophy. To celebrate the opening of the first Qeelin shop in Guangzhou, the hotel is cooperating with the brand to present an exquisite jewel-inspired afternoon tea at Pearl Lounge in the Ritz-Carlton, Guangzhou. In a bar in the Netherlands, the most expensive beer is Tsingtao Beer. In Mexico, the mobile phone most people use is Huawei. So, one can understand that the products you come across overseas nowadays are no longer just labeled “made in China,” but are instead quality brands that China bestows upon the world. An international blockchain competition titled NULS Cup took place at Beijing TusPark on May 5. Supported by the Ministry of Education and the Ministry of Industry and Information Technology, the competition signifies the government's determination to develop and promote broader use of blockchain technology in China. 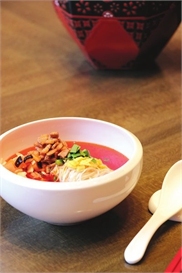 In late April, The Ritz-Carlton, Tianjin held a wedding fair themed Royal Romance, Lifetime Commitment, bringing a romantic and artistic fairy-tale wedding feast to newlyweds. The Ritz-Carlton, Tianjin invited around 350 couples and guests from all walks of life to attend an artistic wedding extravaganza in the castle-like hotel. The 11th China International Defence Electronics Exhibition (CIDEX) took place at the China International Exhibition Center from May 7 to 9. The exhibition drew wide attention as a showcase of the latest innovation in military equipment both at home and abroad.